I like to grill the flank steak, but you can use a grill pan on the stove, too. Heat outdoor grill or grill pan to high heat. Meanwhile, make the sauce by combining mayo, yogurt, garlic, lemon juice, and herbs. Season steak generously with salt and pepper. Grill steak about 5 minutes on first side. Flip it and grill 3-5 minutes on the other side. Cook to medium rare or medium. Let the steak rest for 5 minutes for slicing. Grill the rolls for a few seconds to toast them. To slice flank steak, cut against the grain, to make 1/2 inch slices (or thinner if you can). 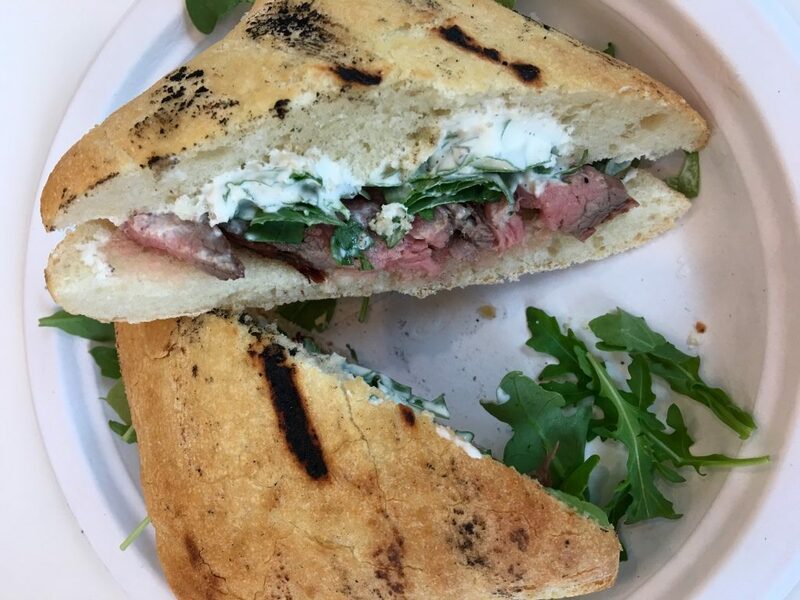 Spread the sauce onto the bread, top with steak and arugula. Serve with extra sauce. Copyright © 2017 Our Everyday Dinners - This is an easy recipe for how to make Flank Steak Sandwiches.